First off please excuse all the wrinkles in this skort! I was sitting for awhile before we took these pictures, so it was hard to get them out. 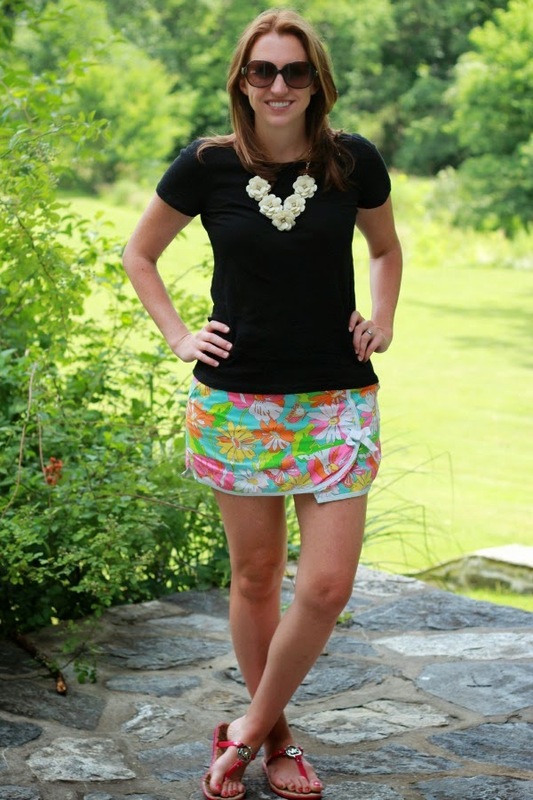 I got this little skort from a Lilly Pulitzer Warehouse Safe a few years ago. In past summers, I've worn it with colors from the skirt - an orange or green top. 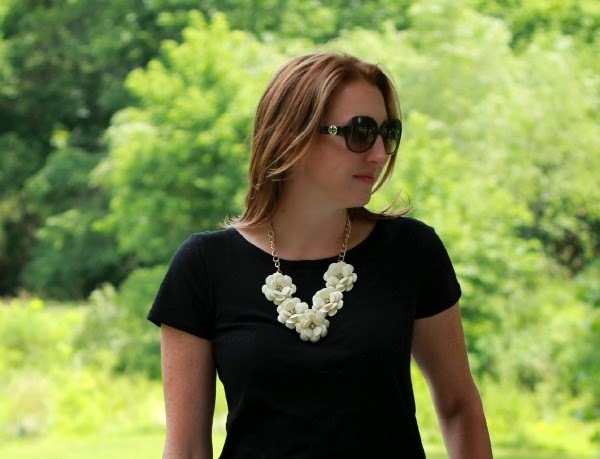 This time I wanted to try to ground the flowers a little more so I wore a black tee and chunky necklace. I love the cute paint by number design. You can see it better in the detail shot below. It was great for another beautiful summer day! Linking up with Vodka Infused Lemonade, Penniless Socialite, Shopping My Closet, Rhea Et Cetera, Little Miss Fashion Queen, Not Fancy Just Life and Elegance and Mommyhood. hey! love this casual look! your necklace is so beautiful! love the shoes too! 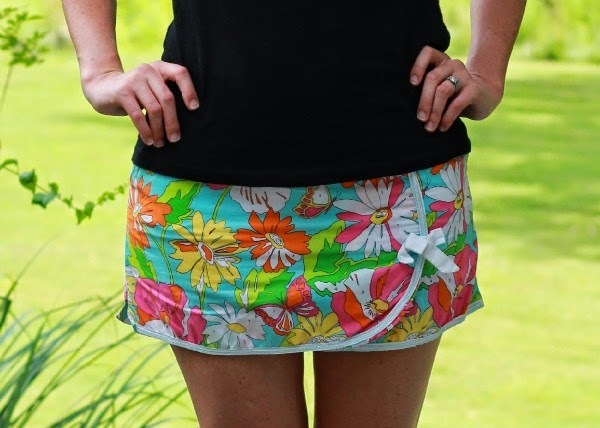 What a cute skort! I really like how you have it as the main focus worn with a black top. Very cute! Thanks for joining our linkup! Fun floral print. Hope you had a great weekend!